Beekeepers Starter Set. 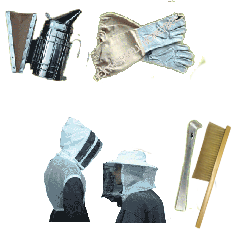 This includes all the basic beekeepers tools and equipment you need to start beekeeping. This Starter Set has been carefully designed to be purchased together with your choice of bee hive to make the ideal Beginners Kit. For beginners we recommend the book, Guide to Bees & Honey.